It was a well-attended event. The Courtleigh Auditorium was aflutter with young men and women in their best outfits on a Saturday morning at the end of January. The occasion was a Seminar organized by the Jamaica Chamber of Commerce (and spearheaded by the accomplished Darine BenAmara, the JCC’s Gender Specialist) on the topic Young Entrepreneur: Own Your Future. The star of the show was Thione Niang, a boyish but slightly nerdy-looking social entrepreneur, speaker, political activist, author and former advisor to President Obama. He’s also a sort of youth ambassador who had perhaps an unpromising start in life, one of a family of 28 children in Senegal, West Africa. Yes, 28! He migrated to the United States in 2000 with a little money and a whole lot of ambition. So seventeen years later, he has been able to help his huge family and has helped to support sustainable development in his own continent through his entrepreneurship. Believe more than anyone in what you are doing. Have the courage to dream big. Be focused and patient – yes, patience, that underrated virtue that young people often have difficulty acquiring. Niang’s example – that of applying over and over for a visa, and finally getting one – drew ironic laughter from the audience. But…“keep knocking on that door,” he emphasized. Build the habit of reading – a chapter a day is fine, says Niang, but get into that discipline. Find partners: You can work faster as a team than you can alone. Be open-minded and flexible about change. Accept failure as a part of success. Analyze, know and understand the “why” of what you are doing. Niang’s philosophy has a lot to do with giving, interestingly. “Give back,” he said. It’s through giving that we become what we want to be. Build relationships – everyone is important! Help people. “It is through giving that I received my blessings,” said Niang, simply. Now, I found this interesting and unusual. Indeed (as other speakers at the meeting rightly emphasized) self-esteem and self-belief are essentials if one is to move forward as an entrepreneur. However, the underlying theme of “give” and “giving” caught my attention. It is not something one would think of when one is setting up a business. One is much more focused on “get” and “getting.” Well, here’s an example: in 2009, Niang launched the GIVE1 Project, a global nonprofit organization, dedicated to engaging and empowering young leaders for the pursuit of social, economic and political advancement in their communities. 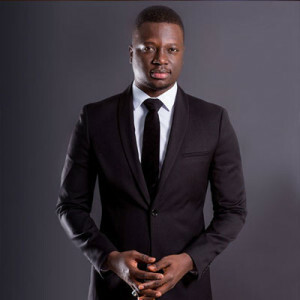 His organization is currently operating in France, USA, Senegal, Benin, Canada, Togo, Ivory Coast, Ghana, Gabon, Burkina Faso, Turkey, Belgium, Guinée and Japan. It has now been launched in Jamaica. 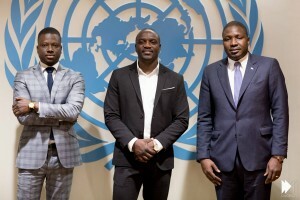 Akon Lighting Africa – the team: (l-r) Thione Niang, Akon, Samba Bathily. 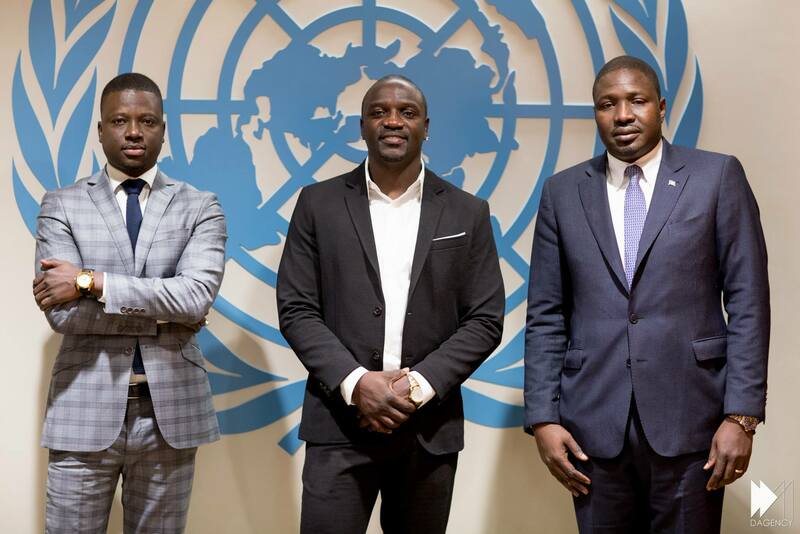 On top of that, Niang began a partnership with a fellow Senegalese man, the rapper, singer and producer Akon and Malian entrepreneur and clean energy pioneer Samba Bathily, for an amazing project called Akon Lighting Africa. It is working in 25 African countries to bring solar power to communities. This suggestion that one must have a certain generosity of spirit when engaging in entrepreneurship is worth consideration. Yes, everyone you meet in business is important – whatever their age, gender, position or class. No one is more important than anyone else; it’s all about establishing respectful, caring and trusting relationships with others at every level. As in life, I would say! This is an important lesson that many Jamaicans would do well to learn. This attitude would make for better business ethics, and for a more resilient, society. Which takes me to Part Two, on social entrepreneurship. 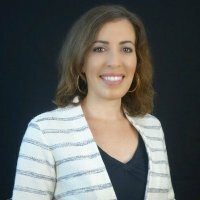 Darine BenAmara, Gender and Development Advisor at the Jamaica Chamber of Commerce, spearheaded the highly successful seminar with Thione Niang on January 21.